Filmmaker Daniel Ademinokan shared photos of himself, his son, and his ex-wife, actress Doris Simeon, hanging out in a restaurant. The filmmaker and the actress have reportedly been estranged since their split. Don’t believe everything you read on blogs. They’ve gotta stay sensational to make a dollar. ??. It’s all good in the Hood. Why Daniel come spoil foto of mum and son??? Doris should be able to request that her son spend some time with her during his holidays.As his parents,you are supposed to have equal rights to him. Where are all those bleaming Stella here and there calling her names. It’s good in the hood. and the boy is healthy and good looking. Doris is okay. read everything and believe them is not good.
. Have you thought of the psychological impact that this boy may go through due to the fact that he is separated from his mother? The boy NEEDS his mother not Stella though she may be doing a good job raising him but I tell ko le dabi!!!!! Its only Fair that Daniel Adenimorukun returns the boy to his mum . or at the most minimal , share equal rights of parrntal acces to the little boy. Look at how happy the little boy looks. 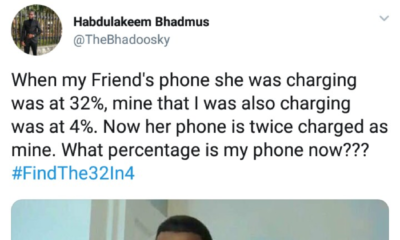 Mr Daniel Adenimorokun , two glasses of chapman juice and a couple of pictures might be sufficient to put up a defense and a “show “ for social media. But surely not enough for any parent especially a mother. Doris , how about spending holiidays with your son alone , And why was Daniel following you and the little one around , even for an outing?. Despite Doris having minimal access. 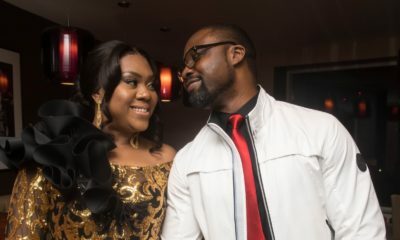 Stella Damasus will never leave her own daughters with her late husbands people, (Aboderin family ) and only see them as a vistor with suffocating survillance from Aboderin family during visits..
God Will see you and this innocent boy through..
May any negative involvement in this family crisis know no peace …. Looks like Okafor’s Law to me. Sorry I digress. All ye haters can leave Stella Damascus alone now abi? Posting pictures to prove what exactly? This is the problem, smh. People never learn to leave private issues off social media. To prove that the mum has one hour access to her son in one or two years.Yeye man…..na only Doris he fit try am with. All ye insta/keyboard warriors. The court might have awarded custody to the man for reasons we all don’t know. Furthermore, who says Doris wants her child in Nigeria?. Not all step Moms are witches you know. Being a step mom is not an easy job. Kudos to Stella the boy looks healthy and well looked after. Those pictures are a cheap pathetic attempt by a classic yoruba demon. I can’t blame Stella Damascus, I blame the selfish man she sent up tent with. Mr Daniel, God forbid Doris spends time alone with her own son, abi? You are a wicked selfish man who separated them for so long and now want to use instagram to impress fools. I am not one of them. God will punish your kind Daniel Ademinokan. I pity Nigerian women, they hardly have any protection in this country.